As unusual book titles go, Tony Hogan bought me an Ice Cream Float before he stole my Ma is right up there. 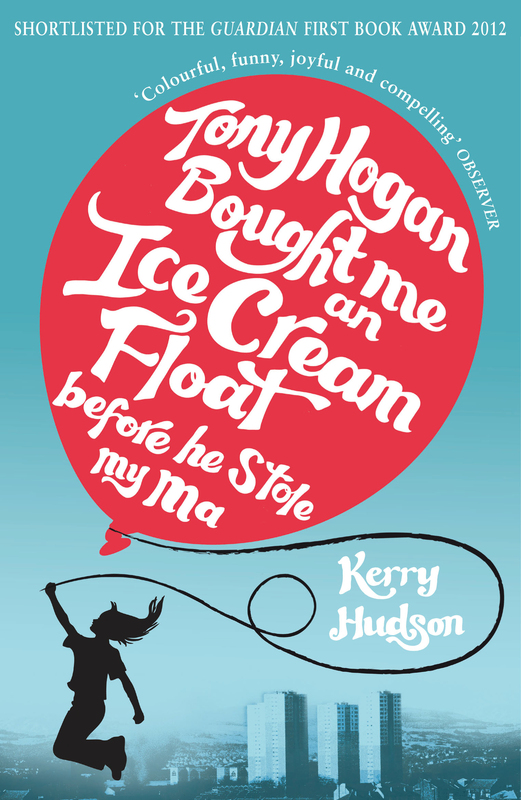 Team that with a distinctive cover showing the silhouette of a jumping girl holding a red balloon on a blue background and I knew I wanted to read this debut novel even before its author, Kerry Hudson, dropped by here last year as part of her blog tour for the book’s publication. Given all that ‘new book from a new author’ excitement, I can’t really explain why it then took me almost a year until I finally got around to reading it. Part of me is still kicking myself for the delay and that lost time in which I could have been getting to know such a captivating character as the narrator of Tony Hogan. You see, as great as the title and cover are, it’s only when you start reading Tony Hogan that the real magic happens. Judith Kinghorn’s beautifully-written and evocative debut novel The Last Summer was one of my favourite reads of 2012. Which might help to explain why, on the eve of her second novel coming out, I’m only now getting around to trying to do it justice in a review. 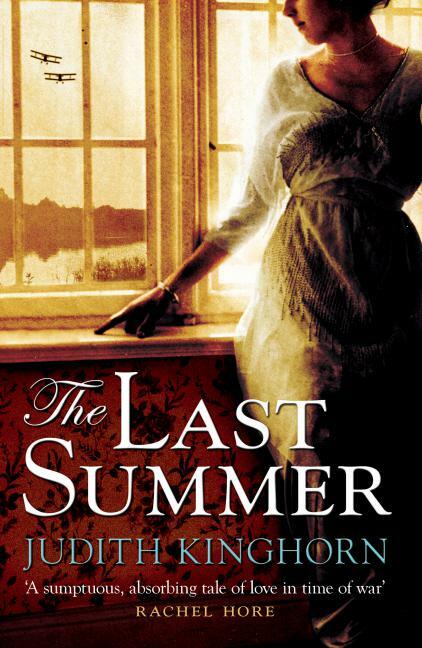 The Last Summer has been marketed as a book that viewers of Downton Abbey would enjoy. I can understand why, given that it opens in the country estate of Deyning Park in 1914, the year in which the first series of Downton Abbey ends, and involves a love affair between two people from different social classes. But if, like me, you were one of the few people who didn’t enjoy the show and switched off at the beginning of its second series, please don’t let that be the reason you miss out on what is a wonderfully rewarding read in itself. 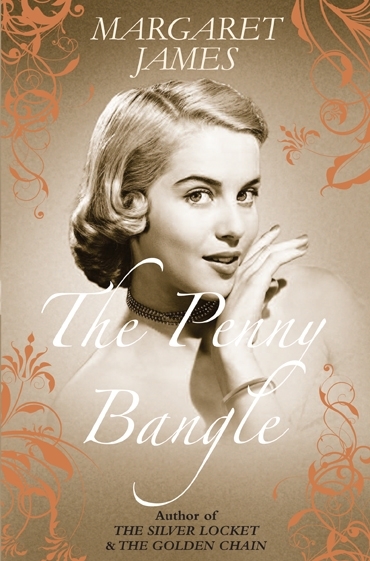 The Penny Bangle is the last in a trilogy of books following the lives and loves of various members of the Denham family. It’s a series I’ve thoroughly enjoyed reading and a family who I’m sorry to have to leave behind, no matter how fitting an end The Penny Bangle is to the series. In The Penny Bangle, it’s the turn of Alex and Rose Denham’s twin sons, Robert and Stephen, to take centre stage. It’s 1942 and both men are home, recovering from injuries they suffered at Dunkirk. Into their lives comes nineteen-year-old Cassie Taylor, newly arrived from Birmingham after her granny sent her away to the country where she thought she’d be safer, and very reluctantly about to be the new land girl tasked with helping out on their parents’ farm. I must admit to having a bit of an aversion to pink. With the notable exception of the singer, P!NK, I try and avoid the colour, especially when it liberally covers a book. But I was only too happy to overcome this irrational dislike if it meant I could read another Kate Johnson novel. 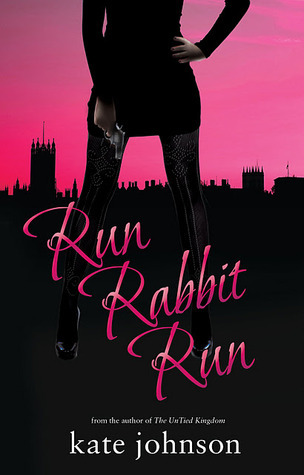 You don’t need to have read any of the previous Sophie Green books to be able to enjoy this one. It works perfectly well as a stand-alone. One of the things I love about Christina’s writing is how quickly she draws you into the world of her books and Highland Storms is no exception. Rather than reading Brice Kinross’ story, I felt more as if I were taking the journey alongside him, as he leaves behind his family in Sweden for a new and uncertain future running the family estate in Scotland. I moved about the family home with him and felt as if I really knew it and could feel its stone beneath my hands. Christina’s descriptions are so good and work on all your senses. She’ll have you smelling the peat fires, the sweat of the horses and the hay in their stables; feeling the wind and water on your skin; and tasting the whisky warming your body after a night out on the hills. Your heart will positively pound as dirks are drawn, you’re taken captive and then later go on the run. 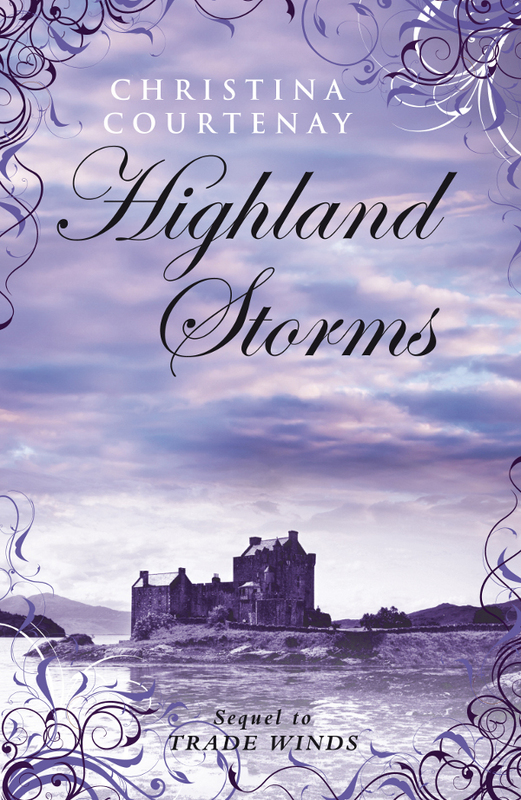 Highland Storms tells the story of Brice Kinross, the son of Killian and Jess from Trade Winds, and, coming from such impressive hero stock, Brice had a lot to live up to in order to convince in his own right. Happily, he’s different to his father but no less appealing, and I especially liked that Christina didn’t create a mini-me version of Killian but let Brice grow into his role on his own terms. I loved Marsaili’s character and how she is strong and capable while under attack, rather than simply being a damsel in need of a rescuer. Special mention also has to go to her wise and faithful protector, Liath, who was another of my favourite characters in the book. I don’t want to give any more away about the storyline or the other characters involved but I can wholeheartedly recommend this as an engrossing read from an author who has become a firm favourite of mine. , Amazon.com and The Book Depository. Christina’s previous novels Trade Winds and The Scarlet Kimono are also available from Choc Lit and all good booksellers. Trade Winds was short listed for the Romantic Novelist’s Association’s Pure Passion Award for Best Historical Fiction 2011. To find out more about Christina, you can read her Author Page, visit her Author Website or Follow Christina on Twitter. And if you’re near Abergavenny this Saturday between 1pm and 3pm, why not pop into Waterstone’s and meet Christina? She’ll be there, together with fellow ChocLit author, Margaret James, to chat about their books and to sign any copies purchased. Naturally, their books would make excellent Christmas presents. If I tell you that Jane Austen is one of my favourite authors and has been since I was a teenager; that Persuasion is not only my favourite of all her books but one of my all-time favourite books; and that Captain Wentworth is my favourite literary hero, then you’ll probably understand why I might have been slow to flick open Juliet Archer’s Persuade Me, a modern retelling of Persuasion. Don’t get me wrong, I’m all for modern revamps of classic books and films. When they’re done well, they can give you a fresh take on the original and guide you back to revisiting an old friend or introduce you to a new one. But when they’re done badly, they’re a travesty and I rue the loss of valuable reading or viewing time. Happily, Juliet Archer has done a fantastic job with Persuade Me and my love of Persuasion not only remains undimmed but it might even have been reinforced, if that’s possible. The beauty of ChocLit titles is that they offer you the story not only from the heroine’s perspective but also from that of the hero and, with such an appealing hero as Rick Wentworth, that’s one of the main draws here. You finally get inside Wentworth’s head and find out what he’s thinking and feeling. Being able to do so does mean that the Will-they?, Won’t-they? suspense of the original is compromised slightly but Juliet Archer handles things in such a way that she still manages to retain much of the tension, right up to the last possible moment. Besides, it was terrific fun to see just what a modern Wentworth might be like. 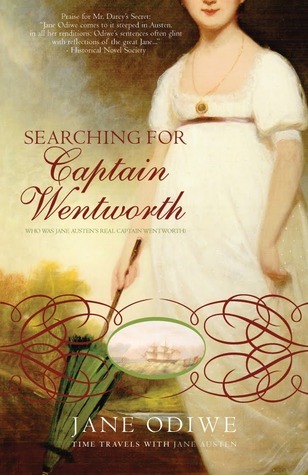 Rick Wentworth, marine biologist, is a clever imagining of what Austen’s hero could be today. He’s every bit as passionate and impulsive as the Captain Frederick Wentworth of the original. The heroine, Anna, is a character that I couldn’t help liking and wouldn’t mind being friends with, were she real. I also loved the Musgrove family and the Crofts every bit as much as I did the ones in Austen’s novel and I definitely approved of Mrs Smith’s modern-day equivalent and her situation. That was a lovely touch. It was a lot of fun to recognise each and every modern equivalent of much-loved (or hated, in some cases) characters and I enjoyed how Juliet Archer updated the key events, making it especially relevant in our seemingly celebrity-obsessed times. You don’t need to know or love Persuasion to enjoy Persuade Me. The book easily holds its own and is a great read in its own right and, if you haven’t read Persuasion, you’ll hopefully enjoy Persuade Me enough to want to see where the inspiration for it came from. I read Persuade Me straight through in one sitting. I hadn’t meant to but once I started I didn’t want to put it down, even though I knew exactly how the story would end. I eventually finished it around 5am on Monday. That’s the sign of a good read in my book. 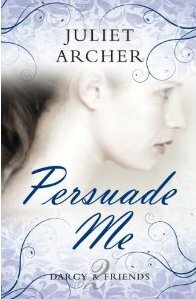 Persuade Me is Juliet Archer’s second book in the Darcy & Friends series (modern retellings of Jane Austen’s six complete novels) published by ChocLit. The Importance of Being Emma is also available from them. You can find out more about Juliet Archer on her Author Website, by reading her Blog or you can Follow Her on Twitter. 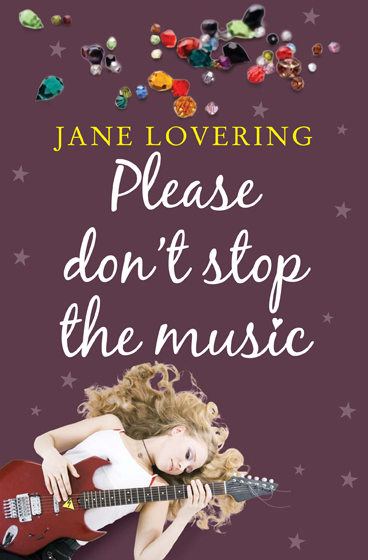 When Jane Lovering visited The Nut Press to kick off her blog tour for Please Don’t Stop the Music at the beginning of January, she promised us a novel full of Dark Secrets. I’m happy to report that she fully delivers on that. So much so that she had me doing something I rarely get the chance to do anymore. I ignored everyone and everything around me until I had read Please Don’t Stop the Music from cover to cover in one sitting. It wasn’t only the promised Dark Secrets that were responsible for this, but also the characters. In Jane’s book, they’re refreshingly different to the ones you often find between the pages of a romantic novel. The characters in Please Don’t Stop the Music are very much an “alternative” cast: they certainly don’t have perfect lives, nor are they perfect themselves. These are flawed human beings with problems, handicaps or baggage. I loved that about them because they were all the more real for it. Not only did I actually believe that they could exist out there somewhere in the real world but I also thought that if I ever met them, I would like them and possibly even be friends with some of them. The main character, Jemima Hutton, is a gifted jewellery artist who wields sarcasm about her like a ferocious ninja in skinny jeans. This defence mechanism helps protect someone who is a flawed and deeply troubled young woman, continually on the run from her past. While searching for stockists for her jewellery, she meets the enigmatic Ben Davies, who now works in a music shop but was once in an indie band. As their friendship develops, it threatens to upset her coping mechanisms and force her to share her secrets with him. But Ben’s also keeping a secret of his own and Jemima has a similar impact on him. How he feels about this is cleverly conveyed through extracts from a journal he keeps. Please Don’t Stop the Music is funny, poignant and heartbreaking in places. I really felt for the characters, both because of what they had gone through and what they were having to deal with now, as a result of their pasts. Jane handles her characters’ stories with great understanding and dexterity and, for me, it’s a fantastic example of how to sensitively incorporate disabilities and troubled backgrounds into romantic fiction. Before you start thinking that the book is altogether too dark for you, it’s not. I laughed a lot too. Jane puts her wonderfully unique sense of humour to very effective use throughout. Please Don’t Stop the Music was an exhilarating and lively read because it was so full of life. Real life. It feels like a fresh take on romantic fiction because this is something that could happen to people that you or I might know in the real world. It’s a book about friendships, about how they change, grow and develop, and, most of all, about how important they are, and can be, in all our lives. I know that I’ll remember these characters and their story long after closing the book on them. I thoroughly enjoyed reading this, my first Jane Lovering novel, and I can’t wait to see what she writes next. In the meantime, I’ll be checking out her back catalogue until the next exciting new release from her. or The Book Depository. Jane can be contacted at her Author Website or you can Follow Jane on Twitter. Come back on Saturday to help The Nut Press kick off the blog tour for another ChocLit title, The Scarlet Kimono by Christina Courtenay, whose debut novel, Trade Winds, I loved.